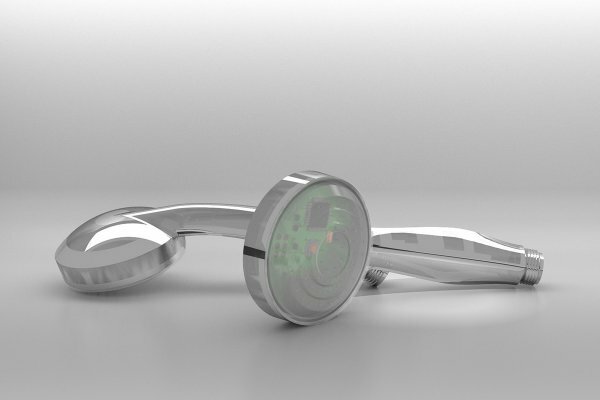 Hydrao by French company, Smart & Blue, is an environmentally friendly connected device that tracks water usage in the shower, helping encourage sustainable habits in the home through positive reinforcement. The connected showerhead begins tracking the water flow as soon as the shower is turned on. A green light will be shown on the Hydrao, which will remain the same color as long as the shower water used does not exceed 3 gallons. 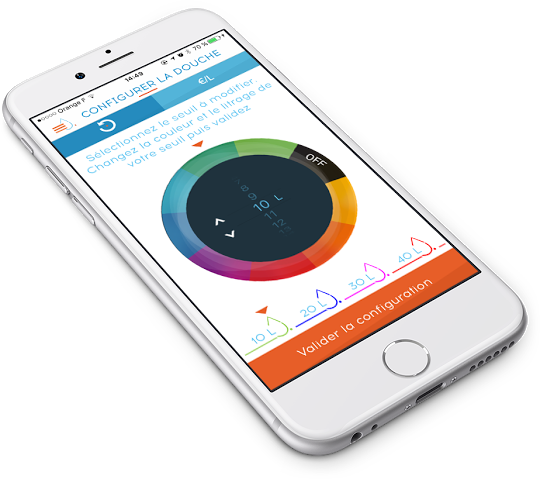 Once this water level is exceeded, the Hydrao will communicate with the mobile app and change colors to alert the user of the next threshold. The Smart & Blue mobile app (available on iOS and Google Play) is designed for a family of four and allows the users to create thresholds and individual profiles, customise with their favourite colour and track their savings per shower. The bathroom is responsible for nearly half of all water consumed in the home and 20% of that water is flushed down the toilet while the remaining percentage is comprised of showering and sink usage. If used daily, Hydrao can potentially save users up to 5k gallons of water a year, per person, and depending on the source of water heating – electric or gas, users will also see a difference in their overall household utility bills. As the struggle to convince consumers to adopt more sustainable habits, the Hydrao is an example of a more softly-softly approach, a move away from the finger-wagging and tapping into the trend for sustainability nudging. Not only does Hydrao make shower time more enjoyable for children, in addition they are learning about water conservation in a fun way and developing sustainable life habits. Smart & Blue specializes in creating connected devices through sustainable development. Hydrao is Smart & Blue’s first product and CES 2016 Innovation Awards Honoree.